The best way to start a commercial landscaping project, or any project at all, is to know what your end goal is. Realistically, you want a landscape that is pleasing to bystanders and ups the curb appeal of your business or space. Aside from the basics, what else do you want? Do you want a space to entertain clients outside, with a sitting area or gazebo? 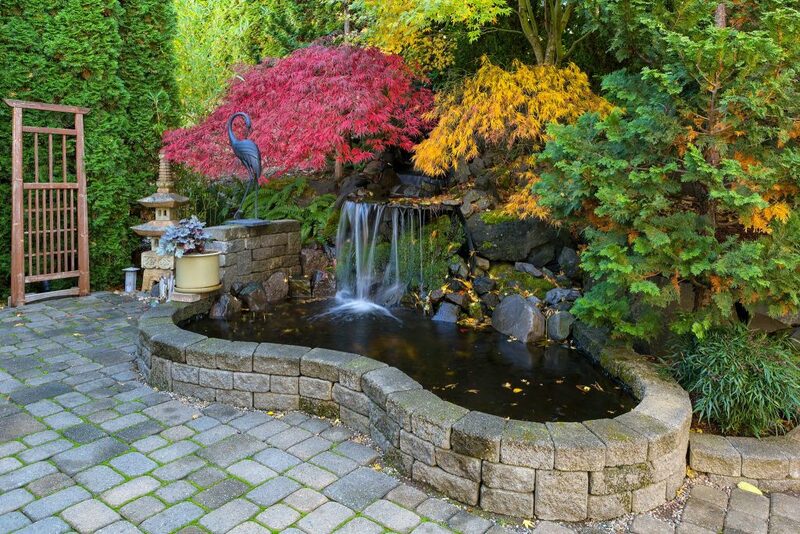 Do you want a water feature to give your project a feel of elegance? The more ideas you have about your space, the more we can help you make your dreams into a reality. You can check out our online galleries, or pull photos from other projects that you have seen to give us a better idea of what you are thinking. The more info you give us, the better off we will be to start designing! We structure our commercial landscaping projects into three distinct parts. First, we help you design a plan. At Hidden Creek Landscaping, we have over two decades of combined experience with designing and implementing commercial spaces. We make innovative plans and carefully craft each project to fit your space, preferences, and requirements. We factor in everything from topography, vegetation, draining, water, and climate conditions to make sure that everything is accounted for. 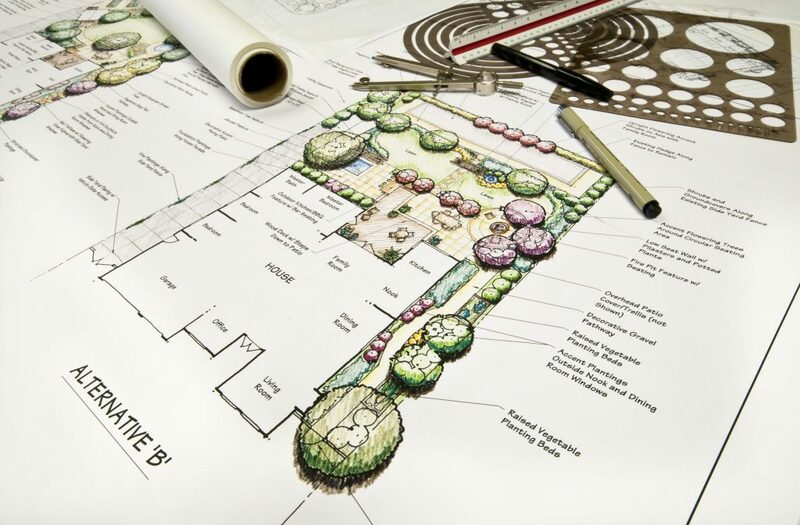 Some of the design services that we offer include master planning, consultations, green roofs, irrigation designs, hardscape element planning, construction documents, illustrating and 3D renderings and planting design ideas. After our design phase, you will have a comprehensive and detailed plan of exactly what your project will look like upon completion and just how much it will cost. From start to finish, we will help you plan every meticulous detail of your commercial landscape. The next part of the commercial design process, after you have your comprehensive plan and design, is to build. Our company has produced countless showcase designs and we have an overwhelming amount of commercial landscape experience. We use computer-aided design software to help create fast and accurate price estimates with our construction projects. Some of our construction services include paving installation, masonry, irrigation installation, water features, lighting, shade structures, green roof installs, softscapes, seasonal displays, retaining walls, swimming pool and more. Best of all, if you are interested in a service not currently listed on our site, contact us today and we will explore your project to see if we can accommodate your needs! Once your project is planned and executed to perfection, it is time to think about long-term maintenance requirements. Before we even begin the process of designing, we will ask you about your long-term goals and expectations. 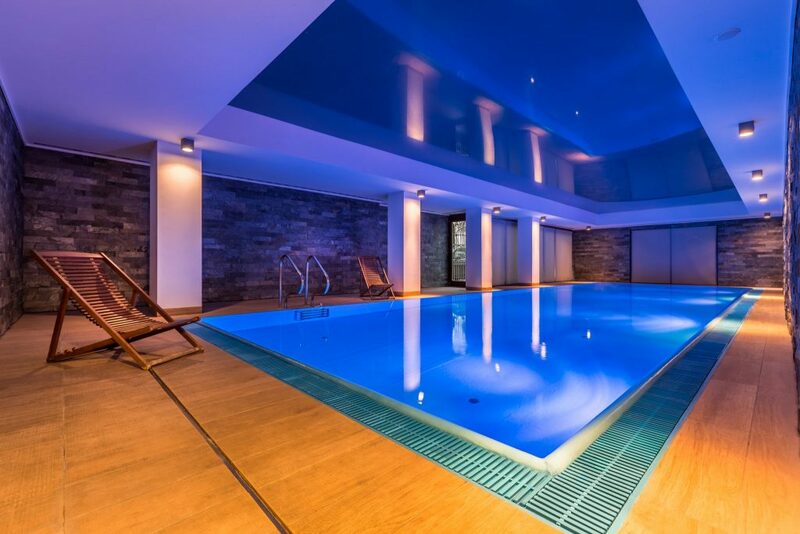 We know that your property is unique and will have its own set of maintenance requirements. We will work with you to make a long-term plan to keep the health and appearance of your space healthy and beautiful. 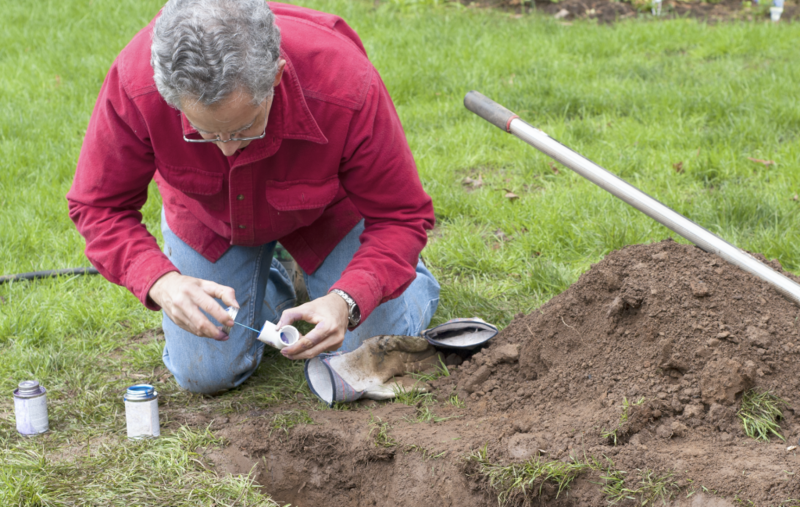 We offer maintenance services that will help keep your new project thriving all year around. 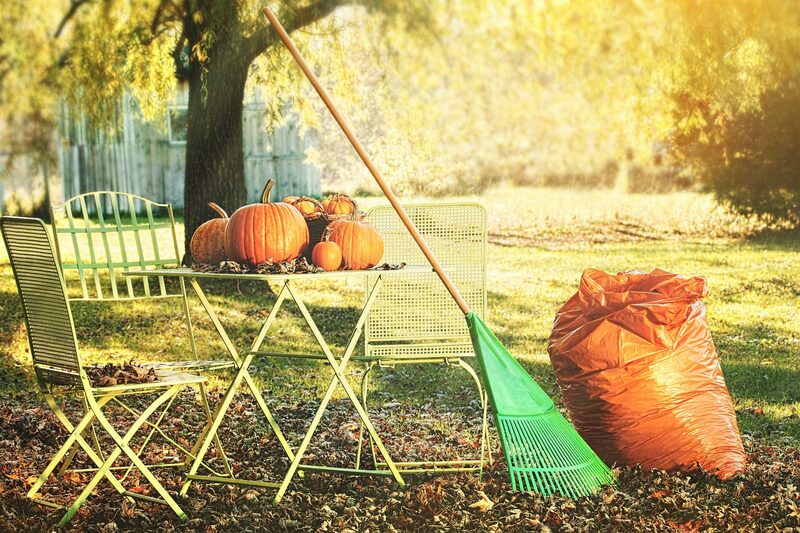 Whether its snow removal, lawn fertilization, fall cleanups, or seasonal displays, we’ve got you covered. Our crew is experienced with ground maintenance and committed to upholding the highest standards in the industry. We take a proactive approach to maintaining your space. Why should you choose Hidden Creek for your commercial projects? When it comes to your commercial project, you don’t want to put your renovation in the hands of just anybody. At Hidden Creek, our reputation speaks for itself. We have a 97.5% client retention rate over the last decade. We are locally owned and operated and our work consistently outperforms that of our competitors. We use the most modern and up-to-date technology in the industry and are committed to creating and maintaining the perfect space for you. If you are interested in planning a commercial renovation project in the new year, contact us today. You can also check out reviews and photos of our past projects on our online gallery. When you choose to work with Hidden Creek Landscaping, you are putting your project in the hands of experts that are committed to excellent service every step of the way. Don’t wait, start your 2019 commercial landscape projects today! Another way to add life to your space in the cold is by investing in holidays planters. This beautiful burst of color will help to make your yard and deck beautiful and vibrant. You can buy planters with evergreen and birch to last throughout the holiday. Spruce up your planters with pinecones, ribbons, and ornaments to give them a night holiday feel. Planters are an elegant way to add some decoration to your home for the season. The same old Christmas lights can seem a tad boring, but with a little creativity, you can add a fun new twist. You can line your house and porch with strings of lights but have also you considered draping them throughout the trees and other foliage? 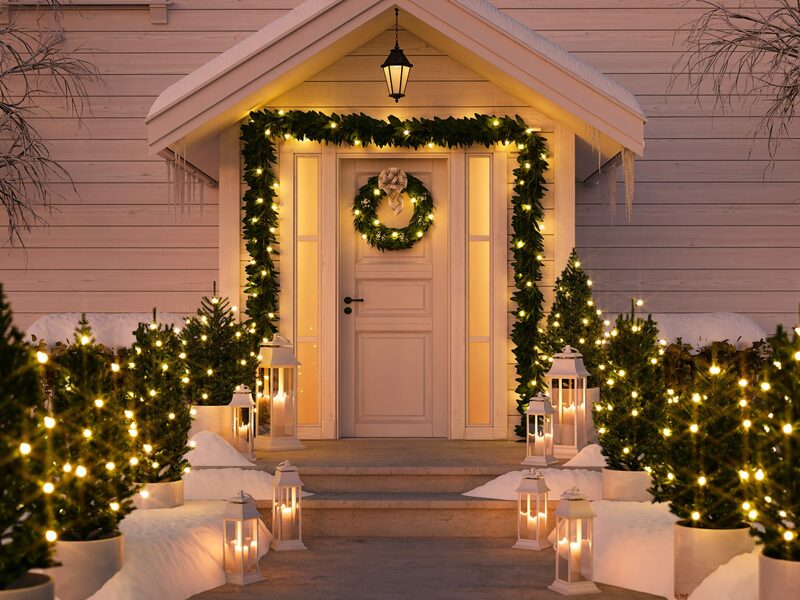 Instead of traditional white lights, invest in other colors to add some flare. You can also get icicle-like hanging strands that can give your front porch a great wintery theme. Add some lights to unusual places, like light posts and mailboxes, to add some shimmer. The more lights, the merrier. 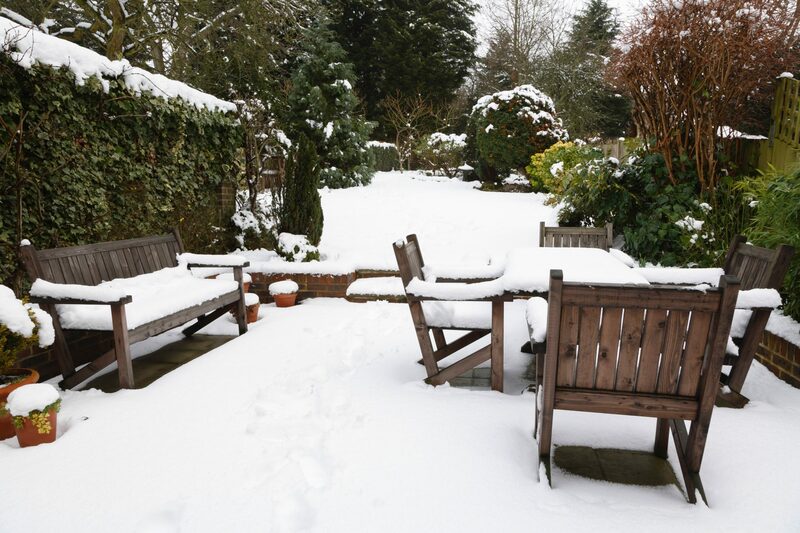 While many of your plants will suffer in the winter months, maybe it’s time to rethink your landscaping scheme. Wintergreen boxwood, coneflowers, blue spruces, and catmints are just some of the many plants that can survive and thrive in the winter. Adding new foliage will help to give a feeling of life to your yard that may otherwise be looking a little barren in the season. If you are confused or unsure of what plants will do well during the season in your space, give us a call. 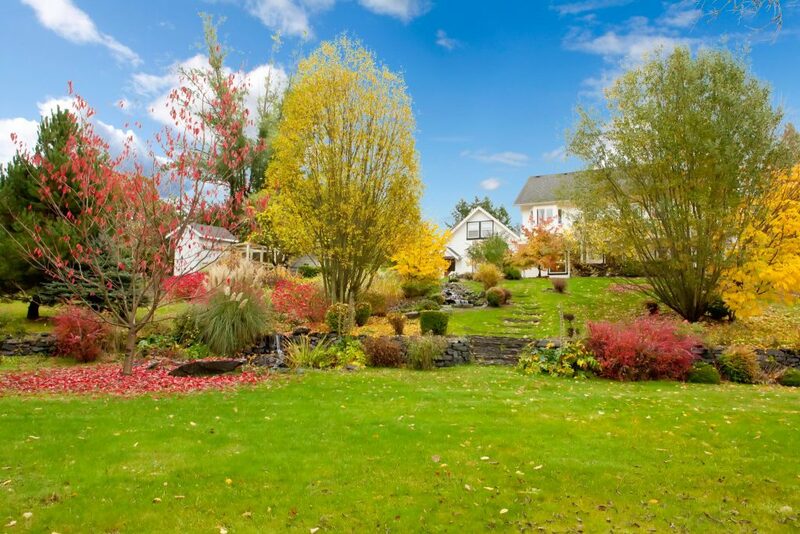 We can help you make a landscaping plan to meet your needs and to help your yard stay vibrant the whole winter long. If you don’t have a porch or deck, now may be the perfect time to consider adding one. With the weather getting colder and colder, you will want a space where you can enjoy being outdoors, even for a little. A furbished deck or patio is the perfect spot to sit outside and entertain company. 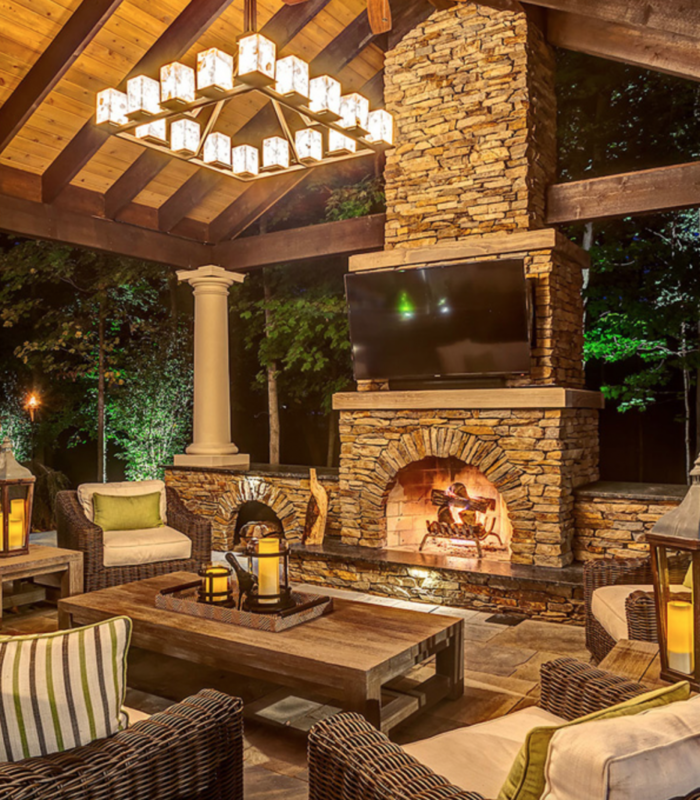 You can add a firepit or heat lamps for warmth and decorate your space to entertain. In addition to keeping you happy and cozy, these additions will also help with your curb appeal and the overall value of your home. If you already have a deck or porch but just aren’t crazy about their look, feel, or layout, use this time to do a quick remodel. You’ll be so excited to have them when the weather gets warm again. 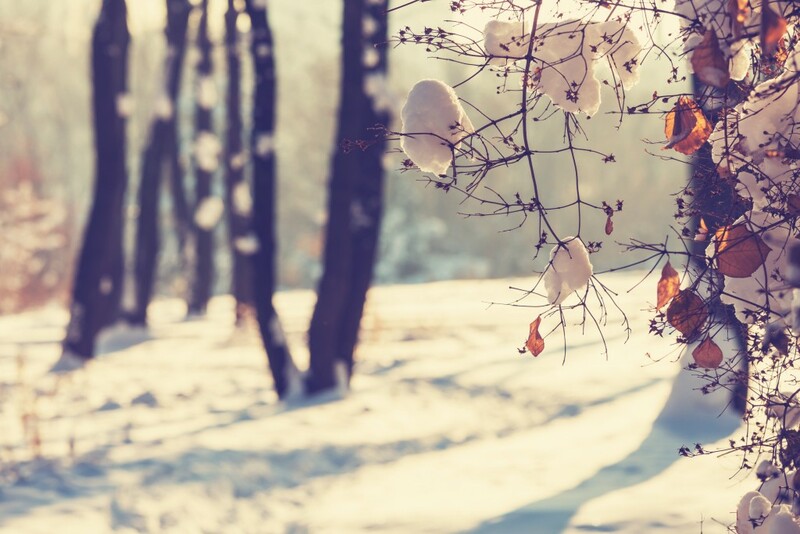 No matter how you decide to decorate for the holidays, don’t skip out on your landscape! And, as always, if you need any help, call the experts at Hidden Creek Landscaping. 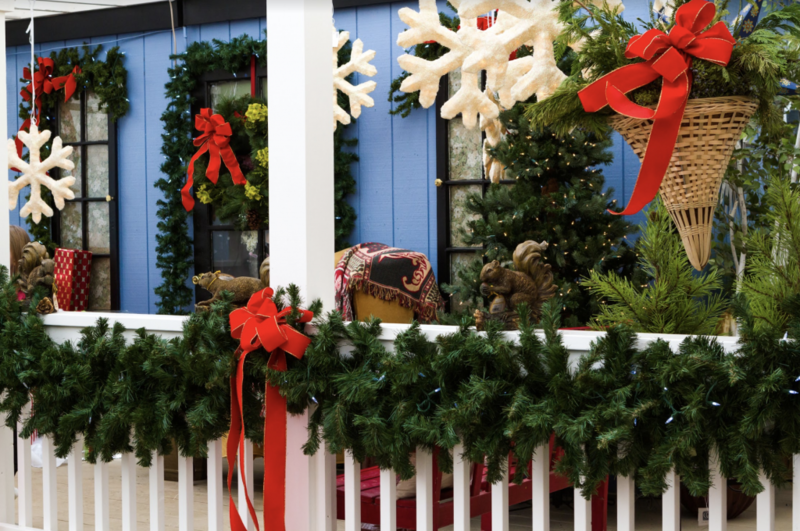 We will help you get your space ready for the holidays and the new year! When you decide to take on a new landscaping project, one of the most important things is to find a company that you trust. Attention-to-detail, high-quality materials and thoughtful design are all essential components for the success of your project. At Hidden Creek Landscaping, we strive to be your top choice for exceptional service and impressive results for all aspects of landscaping and patio design projects. Regardless of whether you are eager to transform your backyard and patio or you are looking forward to updating a business property’s curb appeal, rest assured that our skilled and experienced design and installation team will work hard to exceed all of your expectations. A thoughtful landscaping design improves aesthetics for a boost in curb appeal and for your overall enjoyment. An appealing landscape can have a bold impact on property value and conditions. 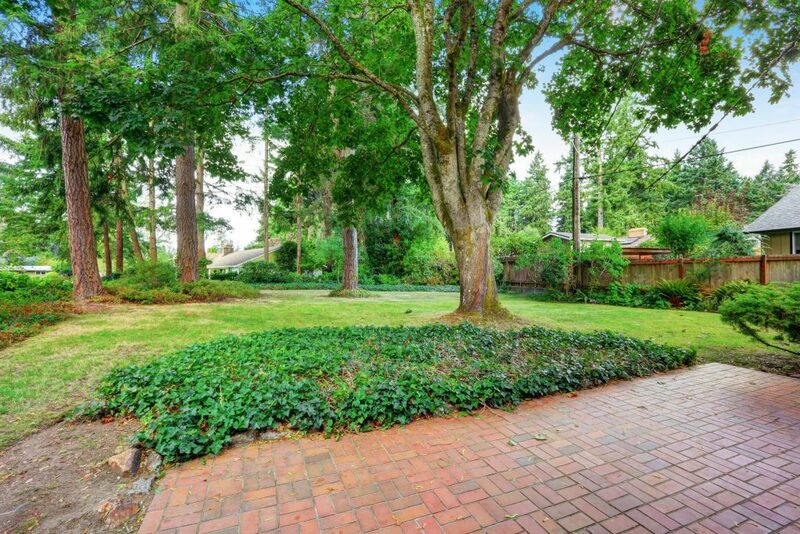 Your property’s landscaping design should be unique to you and your family’s wants and needs. One of the first steps in our design process is to craft a design plan specific to your property. When you contact our design team, we will take the time to learn more about what your goals are for your space. 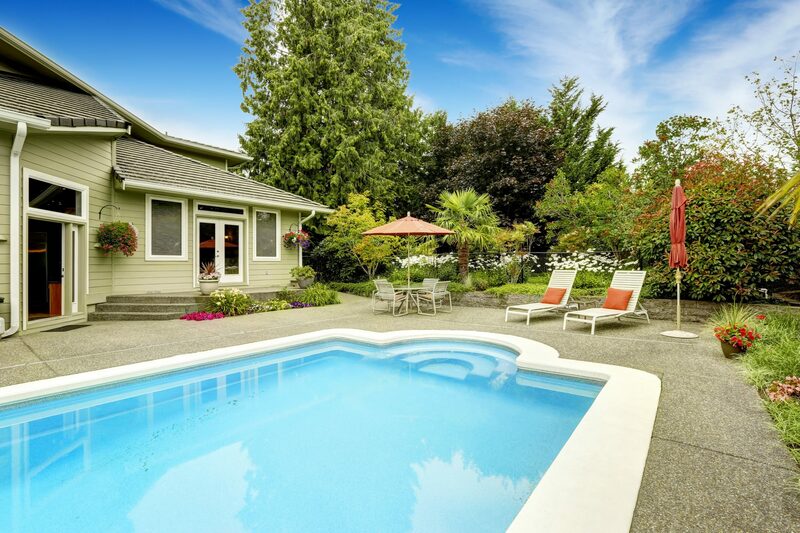 We create a custom design that is truly unique and perfectly tailored for your needs and your specific property. As part of the landscaping design process, we will work to select the most high-quality materials possible. We can use a variety of stones and other materials in your project. Beautiful wood species, such as teak, cedar, and others, may also be great additions to your space. These can be stained and sealed to perfection. Together, we can make a plan of action to incorporate these elements into your design. Additionally, will also decide what vegetation will be ideal for your space. We go to great lengths to choose species that have the ideal overall aesthetic appeal and that are appropriate for your ongoing maintenance preferences. Our team can also make thoughtful recommendations for outdoor appliances, fire pit or fireplace features, electronics, ceiling fans and all other products that may be essential for creating a space that is truly appealing to you in every way. Creating a beautiful design and selecting high-quality materials are an essential part of initiating your landscaping project. We cannot emphasize the importance of quality workmanship enough. Our entire team has been selected based on their strong work ethic and their desire to produce incredible results. With landscaping firms serving central Ohio business and residential customers, you may be wondering what makes Hidden Creek Landscaping the best choice. 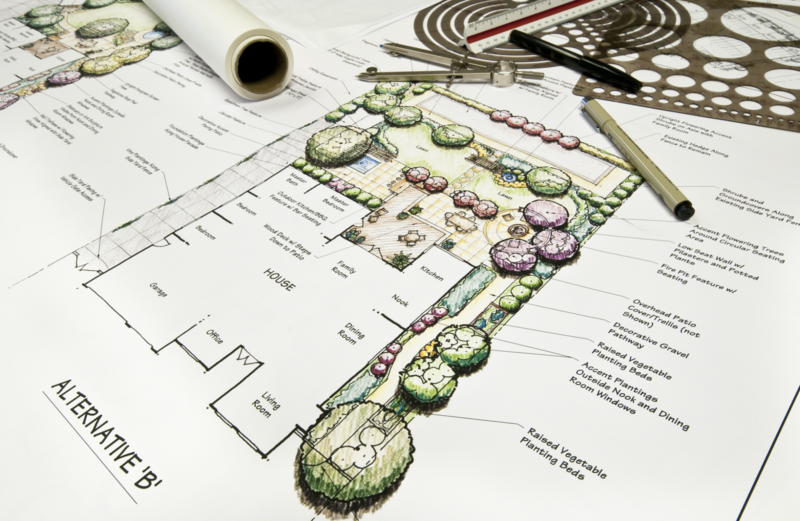 Designing and installing a beautiful landscape on your property requires considerable attention-to-detail. It is also important to have a strong mastery of various natural elements throughout the design. The design plan and installation work will be tailored to your needs. We go to great lengths to ensure that your new space lives up to and even exceeds your expectations. We will work diligently to bring your beautiful new space to life with efficiency. At Hidden Creek Landscaping, we go above and beyond to exceed all of your expectation and to build you a space that will make you happy for years to come. 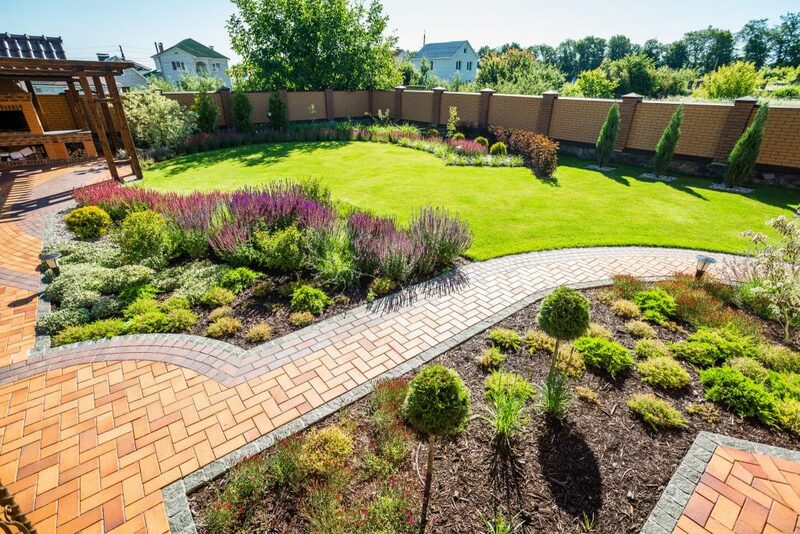 If you are looking for a trustworthy, innovative landscaping team, give us a call today. Landscaping, plantscaping, softscaping, hardscaping….suddenly everywhere you look, new terms and trends are popping up! But what do these words really mean for your yard at home? Landscaping, of course, is the sum total of every action taken to improve the look and ambiance of a piece of land. 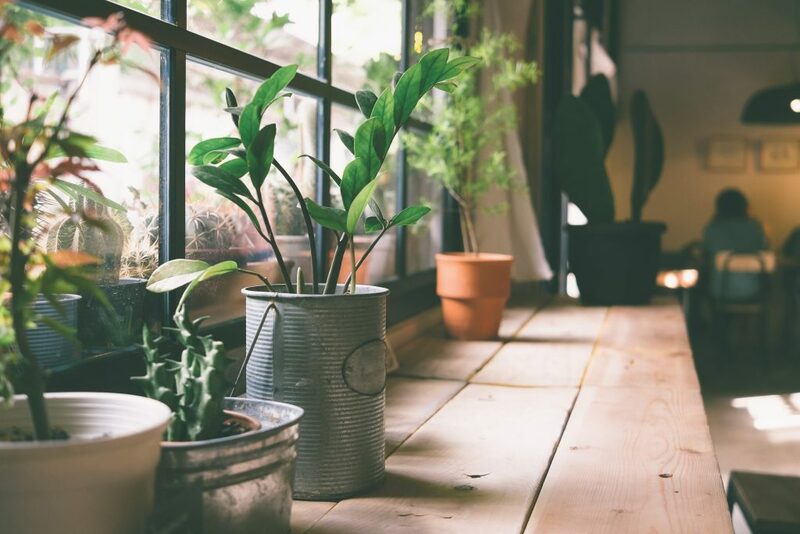 Plantscaping takes some of that lovely greenery indoors in the form of strategically-placed potted plants. Softscaping refers to the placement of greenery outdoors. And finally, hardscaping is the underlying permanent or semi-permanent structure that holds the softscaping in place. Clear as mud? Don’t worry – this is our complete guide for everything you need to know about hardscaping your home or business. Hardscaping is the hard materials – bricks, rocks, concrete, planters, and other structures – that form the outline of your landscape design. Hardscaping is essentially the foundation of your landscape. Without hardscaping, all those carefully chosen trees and shrubs and flowers won’t stay in place for very long. When your greenery is placed firmly into a structure of hardscaping, it stays put. Hardscaping is the opposite of green, living things. It is the inanimate, non-living, durable and long-lasting “home” in which your greenery will live. Hardscaping comes with a number of benefits, some more visible than others. One of the major benefits is that it keeps all your greenery in place. Well-designed hardscaping is also able to deter weeds and pests. It can encourage desirable structured growth (up, out or both) and present a seamless curbside appearance. Hardscaping can help to control runoff from watering and storm waters. The choice of non-porous or porous materials can encourage water to soak into the soil or direct it into controlled runoff channels. One fun new trend in hardscaping is increasing emphasis on hardscape design for small or vertical spaces.“Living walls” incorporate hardscaping and softscaping to bring greenery into small outdoor or indoor spaces to refresh and oxygenate the air while adding ambiance and natural beauty to formerly functional areas. Hardscaping can also help visitors to your space understand what areas are for parking and walking. They also set apart what areas are designed to be kept clear of foot traffic. The most effective hardscaping begins with a study of the local climate. Arid climates demand a different hardscaping strategy than do tropical climates. For areas regularly impacted by drought-based water use restrictions, hardscaping can help maximize retention of available water. Careful hardscape design can also compensate for areas that are less hospitable to greenery while still adding visual appeal. The choice of hardscape materials can also have a surprising level of impact on future maintenance needs. Well-chosen hardscaping can reduce maintenance in all sorts of ways. From guarding against weeds and pests to working with the local climate and seasons to maximize greenery all year round. As the landscaping industry becomes more sophisticated, the line between hardscaping and softscaping begins to blur. Today, there is an increased demand for “living” semi-permanent or permanent materials. 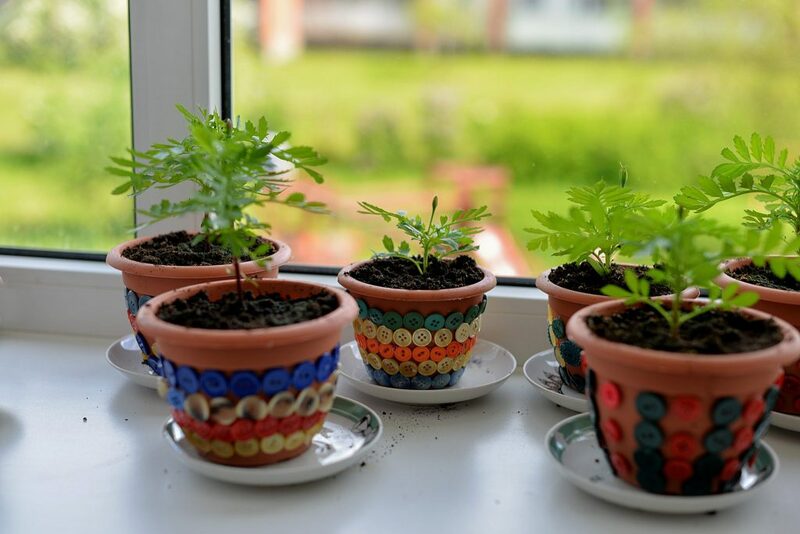 These are used to create eco-friendly landscapes at home and at work. With this new demand has come a range of new hardscaping materials that are both alive and inert. 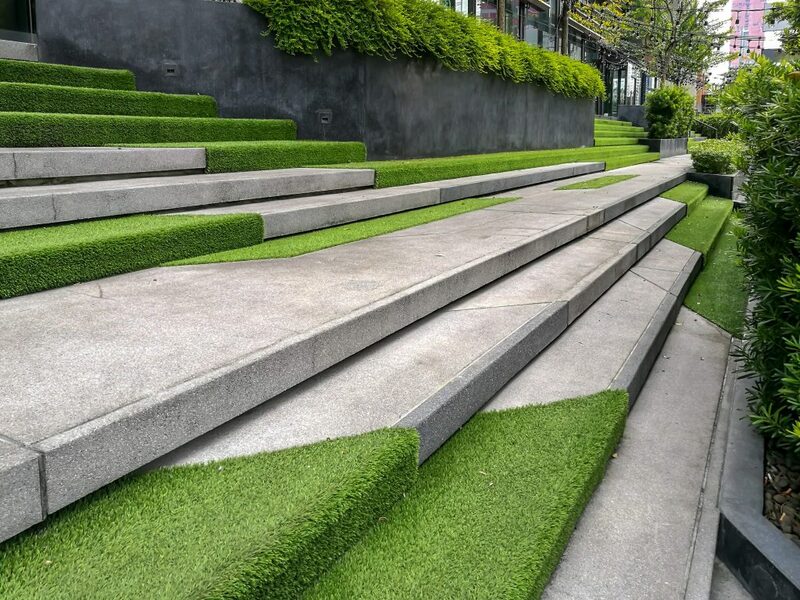 Examples of traditional manmade hardscaping materials can include artificial turf, bricks, prefabricated stone, weed barriers made of nylon or poly materials, glass, concrete, and metal. Examples of naturally occurring “living” yet inert hardscaping materials can include sand, pea gravel, decomposed granite rock, finely ground marble stone, river rocks, and mulch. Soft-scaping–This term refers to using naturally occurring hardscaping materials along with greenery to craft the design for your space. 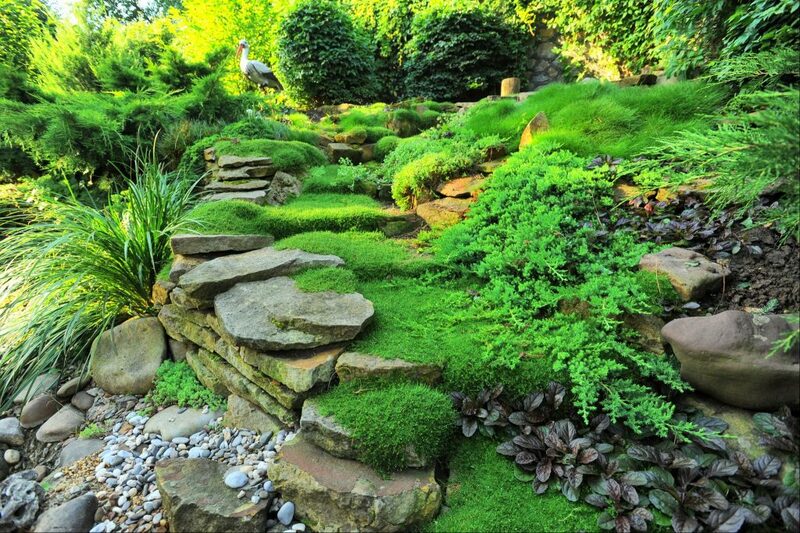 A good example would be filling in walkways with river rocks and then lining the walkways with moss. Mixed hardscaping– Combining naturally occurring and man-made hardscaping materials together with greenery for your landscape design. A good example would be filling in walkways with river rocks, lining those walkways with concrete stepping stones and interspersing each stepping stone with moss. Living hardscaping– Alternating living greenery with non-living natural or manmade hardscape materials. A good example would be alternating concrete stepping stones OR river rocks with moss. A well-planned hardscape design can help reduce your ongoing maintenance needs, saving you both time and money. Here is where hardscaping, softscaping, and landscape design meet to create a landscape plan that is durable, lovely and low maintenance. Three factors can greatly influence the maintenance of landscaping: choice of climate-friendly greenery, hardscaping/softscaping materials and planned drainage. In other words, you don’t want to walk out after the next heavy rainstorm to discover your entire landscape has washed away down the drain! 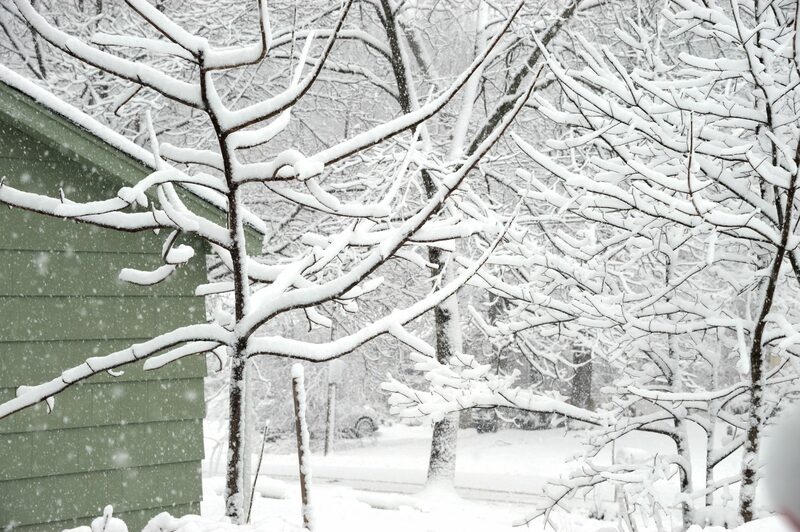 Similarly, you don’t want to spend your winter worrying about what is going on underneath all that snow. Pest control is often best accomplished by carefully choosing weed barriers, fertilizers, mulch and soil that will encourage plant growth and send pests packing. If all of this sounds intriguing yet overwhelming, remember we are here to help! Here at Hidden Creek Landscaping, we’re here to answer all of your questions and ready to help you take on any project. Give us a call today.